This beautifully crafted single panel fireplace screen by Pilgrim will give your fireplace an upgrade with its beautiful scroll design-while protecting you and your family from the hot fireplace or heating appliance it's in front of. 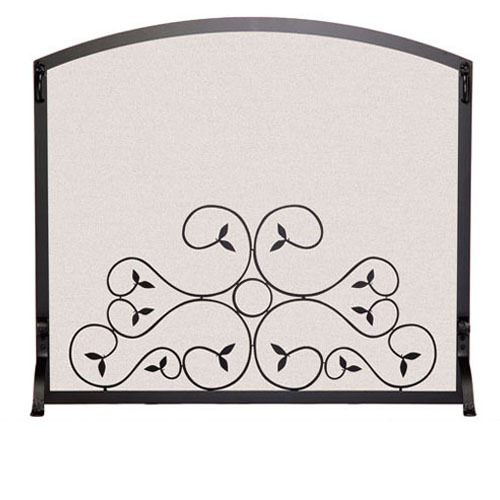 The elegant, gently arched screen comes with detailed scroll work and is finished in an attractive matte black finish. Made of heavy duty steel construction, you know this durable screen will stand the test of time. This fireplace screen measures 39 in. W x 33.5 in. H, and comes with a limited lifetime warranty.